The recent troubles at the Fukushima nuclear power plant in Japan are once again causing concern over the use of nuclear power to further human development. Unfortunately, these events are leading some people to the exactly wrong conclusions, As H.L. Mencken wrote, “There is always an easy solution to every human problem–neat, plausible, and wrong.” A careful analysis of the events at Fukushima will lead us to a better solutions, though not necessarily easy ones. The nuclear plants at Fukushima are Boiling Water Reactors. Boiling Water Reactors were developed in the 1950’s and construction on the Fukishima reactors began in 1967. BWR’s fall into the category of Generation II reactors — a very old technology by today’s standards. The BWR’s in use at Fukushima are “active safety” designs — meaning that they must be actively maintained to operate safely. 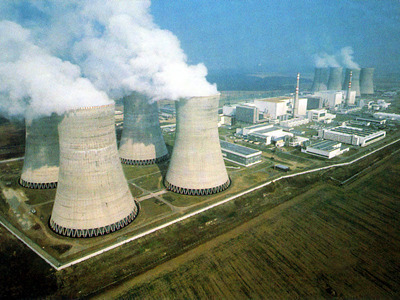 Modern nuclear reactors of Generation III+ and Generation IV tend to be passive safety designs. In a passive safety design, neither a control circuit nor a human operator is required for a nuclear plant to safely shut down in the event of an emergency. Clearly, the behavior of a nuclear reactor during an emergency is something about which we should all be concerned during this era of global terrorism. In other words, a passively safe design must be safe without power, cooling, electronic control, or human intervention — and most current nuclear reactors in production do not meet these requirements. Humankind cannot avoid nuclear energy. Other renewable energy technologies such as solar, wind, and hydroelectric energy cannot provide for our current energy requirements — much less for the energy requirements of a rapidly developing world. Fossil fuels are slowly running out, and burning them causes a large impact to human health. Approximately ten thousand Americans die every year from pollution related to coal burning. In comparison, not a single American has ever died as the result of the operations of civilian nuclear power plants in the United States. To ensure that a nuclear accident like the events in Fukushima will never happen again, while also meeting the the energy needs for our future and for our children’s futures, we must start now to build a new generation of passively safe nuclear power plants to replace existing nuclear plants and existing coal plants.